"He told me he went to tipple at the local bar and I found him asleep on a park bench the next morning." 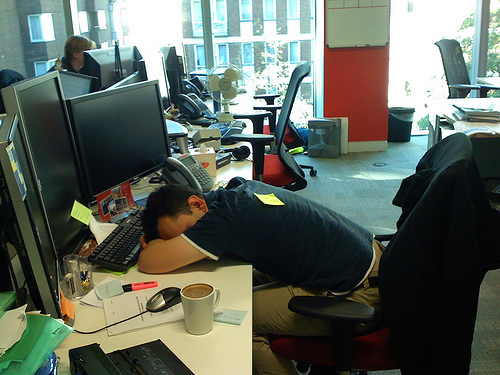 "After tippling all weekend, Brad experienced the longest Monday of his life at the office." "1530s, 'sell alcoholic liquor by retail,' of unknown origin, possibly from a Scandinavian source (e.g. Norwegian dialectal tipla 'to drink slowly or in small quantities'). Meaning 'drink (alcoholic beverage) too much' is first attested 1550s."